Bebe Stores, Inc. said Wednesday that it has made a series of deals that leaves it with no stores. Additionally, on May 30 it turned over its intellectual property rights, international wholesale agreements and e-commerce URLs to the joint venture (BB Brand Holdings LLC) it has with brand management company Blue Star Alliance, according to a company press release and a filing with the Securities and Exchange Commission. Bluestar in turn has a new agreement with a third party for both the URL and wholesale licenses. The deals allow bebe to wind down its operations and keep its brand alive without declaring bankruptcy. The company also said that it’s reached agreements with “substantially all” of its store landlords that will allow it to exit its leases — a move that will cost some $65 million — according to the release. As a result, the company as of May 31 has closed all of its retail stores and laid off all store employees. Also as of Wednesday, bebe has signed an agreement to sell its distribution center in Benicia, CA, to engineering and construction company Tulloch Corporation for $21.8 million, according to the SEC filing. The company said in a press release that it continues to seek a buyer for its Design Center in Los Angeles. Bebe has a $35 million loan with GACP Finance CO, LLC to make payments to store landlords pending the closing of those building sales. Thanks to its $67 million in cash in the bank as of the end of last year and little debt, bebe has been able to make a graceful exit from the retail landscape, in contrast to some of the messier jockeying for assets that is often a hallmark of the bankruptcy process. Such disagreements roiled the likes of Aeropostale, Sports Authority and American Apparel, sparking lawsuits and courtroom tussles during their bankruptcy negotiations. But, while the process has gone relatively smoothly, the outcome is essentially the same: the company’s SEC 8K filing shows that as of May 27, all retail operations have effectively ended. “Going forward, the company anticipates having no retail operations, and its sole function will be the collection of distributions from the [BB Brand Holdings joint venture],” the filing reads. Bebe was already in the process of shrinking its store base in February. The apparel retailer closed one store in the second quarter and made plans to close as many 25 bebe and outlet stores in fiscal 2017; and now those plans have expanded to include all stores. The retailer has been struggling for some time. Second quarter same-store sales fell 10.5%, compared to a 2.5% decline a year ago, as store traffic improvements were inconsistent and inadequate over the holiday period. For the six months ended Jan. 2, same-store sales decreased 7.4%. Q2 net sales were $101.9 million, a decrease of 16.8% from $122.4 million in the same period last year. Bebe, a brand with a solid reputation for chic fashion, hasn’t been the same since the departure of creative director Neda Mashouf, who exited after her 2007 divorce from founder Manny Mashouf, who was president and controlling investor at the time and took over as CEO a little over year ago. Facing declining mall traffic and other headwinds in the apparel sector, the retailer has also come under pressure from private equity investor Consac LLC, whose president, Ryan Drexler, in 2014 began leaning on bebe to consider a sale or go private. Drexler also criticised what he called Manny Mashouf's "questionable" financial holdings. Bebe's fortunes seemed to revive somewhat later that year after naming retail veteran and Jackson Hole Group founder Jim Wigget as CEO, but the company struggled to gain traction, and Wigget stepped down in early 2016. Last summer the retailer gleaned some proceeds from its deal with Bluestar Alliance to develop its wholesale business abroad, and in February Mashouf said the retailer’s reduction of expenses also had helped its bottom line. But the small improvements weren't enough to save the retailer's stores. While the fashion retailer was able to avoid bankruptcy, it's unclear how far it will go as an online-only enterprise. 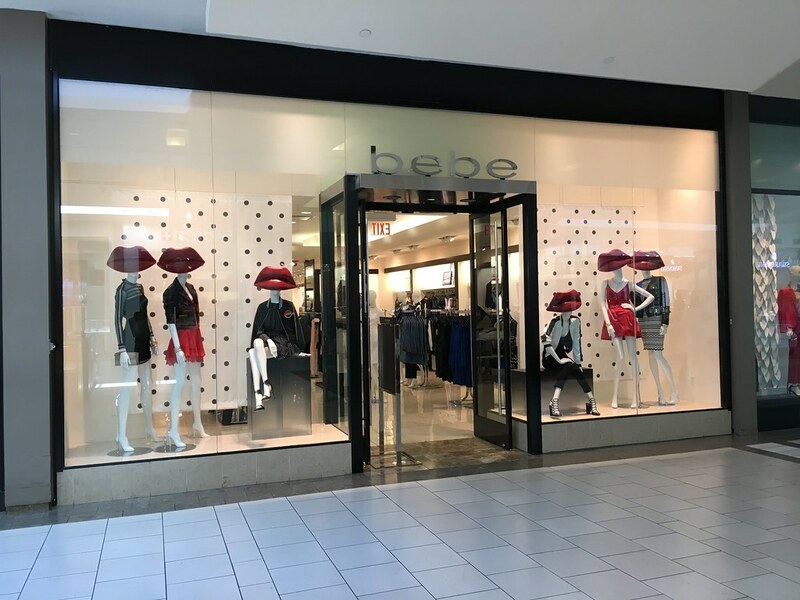 Bebe joins several other apparel retailers in contemplating bankruptcy and shuttering some if not all stores, including Payless, BCBG Max Azria, The Limited Stores and Wet Seal. The company on Wednesday said that it's been advised by B. Riley & Co. in its restructuring effort.